With nearly 400 stores across five countries, we're a one-stop source for domestic, international, and freight shipping services. 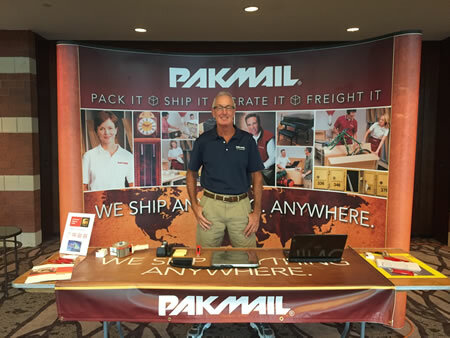 When you visit our local Pak Mail in Mount Pleasant, we'll find the most cost-effective, safe way to pack and ship your items, whether it's by air, ocean, or ground. Welcome to Pak Mail Charleston Shipping! Pak Mail Charleston is a proud member of the Mt. Pleasant Chamber of Commerce and the Lowcountry Senior Network. We are the most complete packing and shipping business you will ever use. Wondering where to ship a package? Do you have something large and awkward to ship? Have some furniture to ship or move? Do you want the best value for small package shipping? When you ship with us, you'll have the opportunity to compare rates from our preferred network of carriers (FedEx, UPS, DHL, USPS & more) and delivery options to guarantee the most competitive price and efficient delivery method.